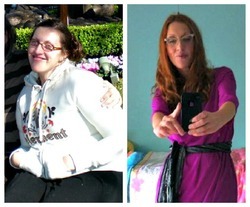 Annaholler was frustrated with her body and disordered eating habits. Something had to change! 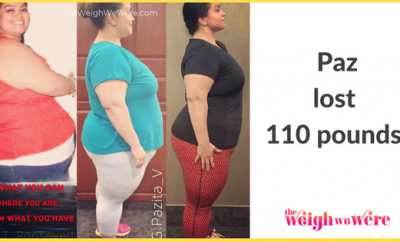 Then she joined Calorie Count and found the motivation she needed to finally lose her weight in a healthy and sustainable manner. 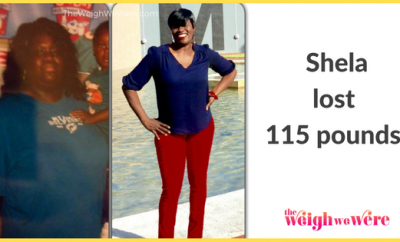 Her total weight loss to date is 95lbs. 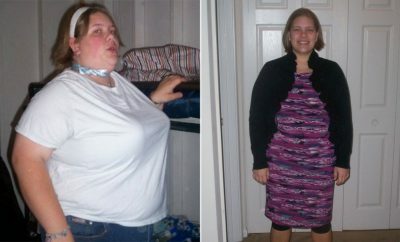 Like so many other people, I have gained and lost the same 50-100 pounds numerous times in my life. My life has been one harrowing cycle of disordered eating habits, emotional eating, binge eating, stress eating and then periods of abstinence from food. I spent the period from 2010-4/2012 yo-yoing like crazy. I went from 250 lbs, down to 160lbs and back up to 220 lbs. Each time I began to gain the weight again I felt totally out of control. In part, this is because I have an autoimmune disorder that effects the thyroid called Hashimotos disease. Hashimotos causes hypothyroid and it also causes depression. I would eat because I felt depressed and struggle to find the energy to burn the excess calories that I consumed. In the summer of 2011 I was wearing a size 14. I had put on a lot of weight fast. My normal uniform as a stay at home mom was yoga pants, t-shirts and leggings, so I hadn’t paid too much attention to my size. In April of 2012 my family decided to go on a spring break vacation to Florida. I was horrified when I pulled out my wardrobe from the previous summer and nothing fit. If I had an “Aha!” moment, that was it. Soon after, I was at a local store and saw a really amazing dress on sale in a size 8. I decided that I was going to buy it and wear it to my best friend’s wedding in November. And you know what… I DID and it looked GREAT! I have used two specific diets. 1.) A low-carb/ high fat keto diet. Truth be told, I love this diet and feel great on it. People with my specific autoimmune disorder do not process gluten well, and when I started this diet I eliminated gluten for the first time. I felt like a million bucks and dropped the weight quickly. Realistically, I cannot live happily without things like apples and tomatoes, so I could never create a lifestyle from this. 2.) Raw-veganism. Again, I felt amazing on this diet. My skin glowed. My hair shone. I had a little extra pep in my step and lost weight easily. As some people struggle to keep calories up on this diet, I found it easy. A few avocados and handfuls of nuts and my calories skyrocketed. Unfortunately, I was not able to ever feel that I got enough protein and after a little time had passed I began craving it terribly. Though I loved the way I felt as a raw vegan, I am not able to maintain this as a lifestyle choice. This has been a difficult year. Honestly, I cannot start to answer this question by talking about food. My weight loss journey had so little to do with food. In order to change my life and diet, I had to change some things emotionally. I had to come to terms with the fact that my eating was disordered and learn to find new, appropriate and healthy ways to deal with depression, anxiety, change and stress. It has been my tendency to always cheer myself up with food. I celebrate with food. I mourn with food. I occupy myself with food. I eat away my stress. If I have changed anything at all that is gigantic, it is that I learned how a more productive and healthier way of dealing with my emotions. I learned that getting on an elliptical or a treadmill and working up a fierce sweat and exhausting my body made my mind work double time. As I worked out I would think about things that I knew I had been avoiding. As I exhausted my body I felt these emotionally taxing thoughts pushing me to work harder. It’s as if I were sweating them out of my pores. And afterward I didn’t need to eat for any reason other than nourishment. This also entirely diminished the food guilt that I regularly suffered from and made it possible for me to frame the food I was eating in a healthier way. Calorie Count has been essential in my weight loss and my maintenance. After spending some hard months unlearning the unhealthy reasons that I ate, I learned, for the first time in my life HOW to eat well. Calorie Count changed the choices I made every day. Simple things like, “I am not spending 100 calories on mayo when I could spend 20 on mustard instead.” In part, I had been incredibly dishonest with myself about food. I would overeat healthy foods and tell myself that I could have as much as I wanted because it was healthy. Imagine my surprise when I learned that my favorite snack: an apple with lots of chunky peanut butter and honey packed over 500 calories!!!! That said, tracking my calories became secondary to trying to meet the nutrition goals I set for myself and participating in the online support community that Calorie Count offers. I doubt that I will ever go without tracking calories again. For me, it keeps me honest and accountable. Honesty and accountability are the only tools that I need to be successful. I have a tendency to become obsessive and restrictive. Then, I give up because the only way that I can deal with how difficult it is to lose weight, is to try not to care if I am fat. When I found myself falling into this old, familiar habit, I worked hard to turn it around and to get back on track. Something nice about Calorie Count is that you can have a terrible day, eat 4000 calories at a summer bbq and come home feeling absolutely horrible. Yet, Calorie Count teaches you that one day doesn’t make or break you. One day doesn’t change weight loss and if it should, that will be reversed in another day. Learning to accept food as a part of life and celebration and learning not to beat myself up over it, was a tough lesson. I have always been all of nothing with weight loss. If I had one bad day, it would automatically turn into two bad days and then a month of them. I am not sure how long it took to see results. I had lost 40 pounds before I really felt like I crossed a border into a more comfortable place for myself. The day I went to the BMI calculator and it said “normal” I flew over the moon with joy. My goal has never to become thin, but to be healthy and simply not overweight. On that day I felt like I truly had a taste of success. 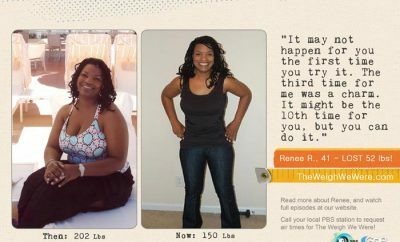 My next moment was probably the morning when I got on the scale and had met my goal. I work out hard, six days a week. A trainer once told me that 70% of losing weight is diet. 70% of maintaining is exercise. For me, exercise is the difference. I have never been athletic or particularly active. Now, I am at the gym 6 days a week for between 1-3 hours. I push myself really hard and I know that this will prevent a relapse. It prevents me from emotionally eating and helps ease the guilt of treating myself to something sweet from time to time. I track my calories and hold myself accountable for the choices that I make. The biggest thing is that I have formed a very strong and healthy relationship with my body. I am physically, mentally and emotionally whole now. I do not have the words to express how monumental this is for me. I deeply appreciate and cherish this wholeness I feel. I also really love the way I look! I am, by no means, perfect. But I am so happy! I feel great too. My body is strong and light. I am capable and unafraid to push myself physically. At 36 years old I am in the best shape of my entire life! I have maintained my current weight for almost 6 months, which is HUGE for me. Get at least 30 minutes of cardio 6 days a week and resistance training at least 3x a week. Do away with flour and sugar; they are rotting you from the inside out. Eat 50% raw foods every day. Fresh fruits and raw veggies are the best things that you can put in your body. Hold yourself accountable and be truthful about portions.